In this video I demonstrate a very simple, but effective bracelet design. 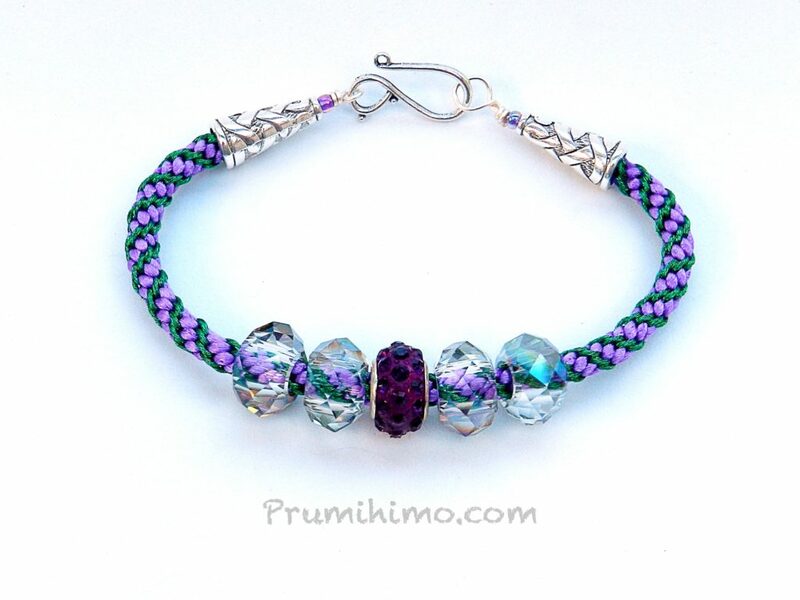 The beads I use are known by many names, but as the most common name is a brand name beginning with P, I am not able to use that! 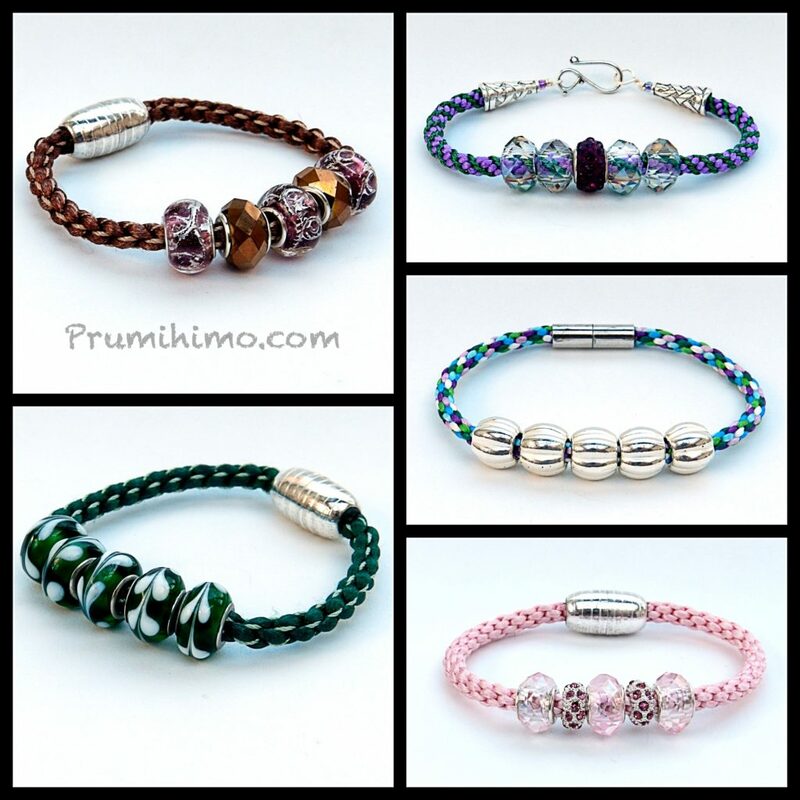 You may come across them called Charm Beads or European Beads as well as several different brand names. One glance at the photo below will show you exactly what I mean! 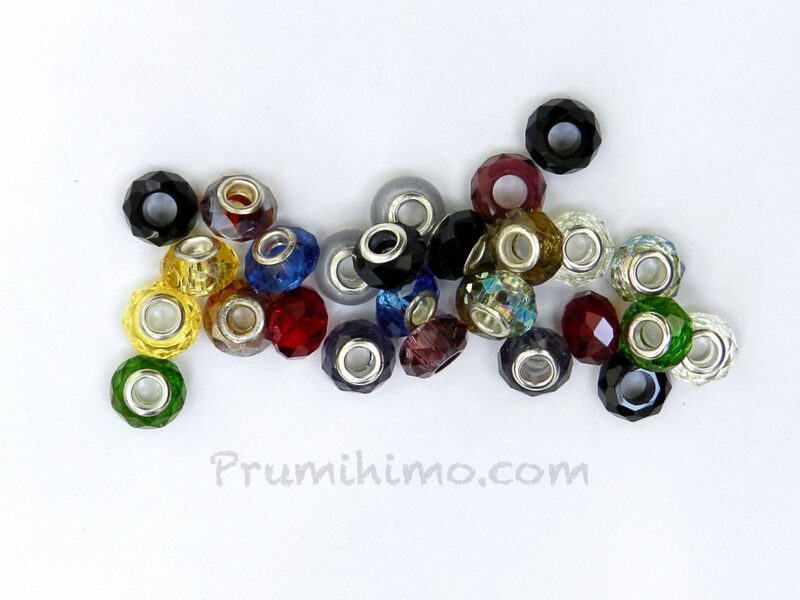 These beads generally have a hole of between 4 and 5mm. The quantities I use in the video are 4 x 70cm of satin cord and 4 x 1m embroidery thread. 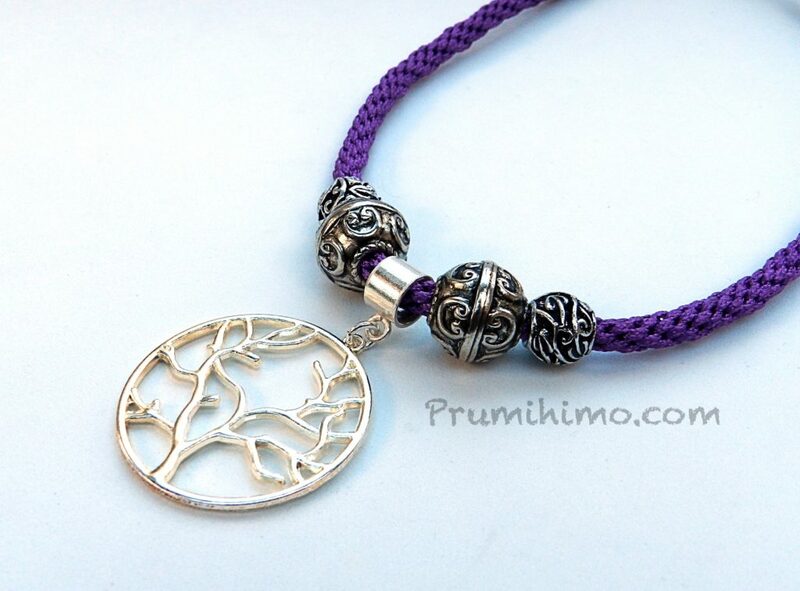 You can use all different types of cord and braid structure for this design to achieve a very individual look. In this video I do not explain how to finish off the braid ends because I have two very detailed videos explaining how to do this, depending on what type of ending you want. This method can also be used to make some lovely necklaces. In this example I used a charm carrier to attach a pendant to in the middle of the charm beads.